©2012 31" x 36" This pattern includes 20 different blocks that I have used in my previous pattern designs. 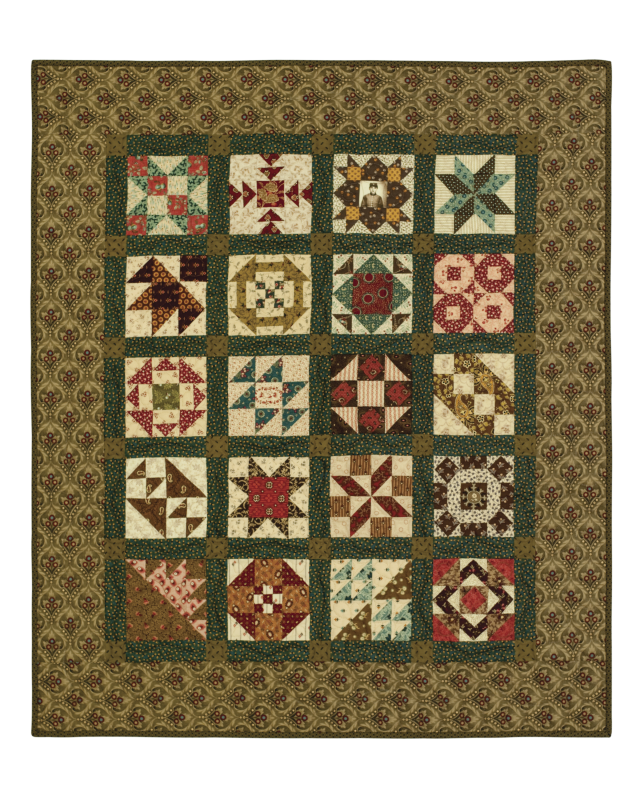 They have been re-sized to 4 ½-inch blocks so that they fit in this sampler. Directions for each block include rotary cutting directions, an "exploded" drawing showing how the pieces fit together, and a drawing of the finished block. Use the pattern cover photo for color suggestions, or use your stash, as I did, so that the blocks include your favorite fabrics.